Mahi mahi is a large, colorful fish. It is caught mainly in warmer waters, Caribbean, South East Asia and the West coast of North and South America amongs others. It has been commonly called the dolphin fish, but it is absolutely not related to the dolphin. It is a white fish and is commonly used like swordfish, tuna, marlin and similar. Cooking mahi mahi is just like any other firm white fish. 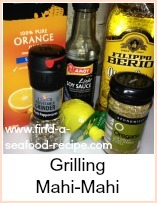 A grilled mahi mahi fish recipe. 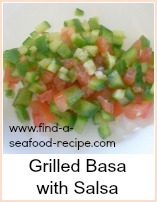 Also a recipe for the fish with salsa. A delicious marinade to use prior to grilling. 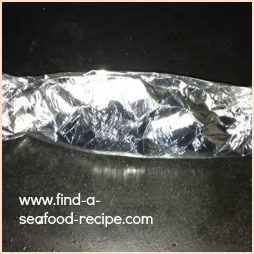 This prevents the fish drying out too much as well as providing a good taste. A simple recipe with a selection of mediterranean baked vegetables. A recipe worthy of a dinner party, but very easy and cuts down on washing up. The aroma when you open these parcels is delightful - let each guest open their own to get the full benefit. These links all open in a new webpage, so you will be able to return here to follow the next one. 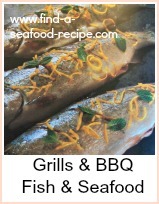 You can use any recipe that you find for white fish other than a recipe where the fish is rolled - those sort of recipes are really only suitable for flat fish.